The Mother and Child sculpture stands in City Square on Craig Street outside the Adelborg Building at 161-169 Craig Street. It was created in 1991 by Glen Spicer as part of the City of Duncan’s sister city program with Montmagny, Quebec. A identical copy of this sculpture is on display in Montmagny, Quebec. 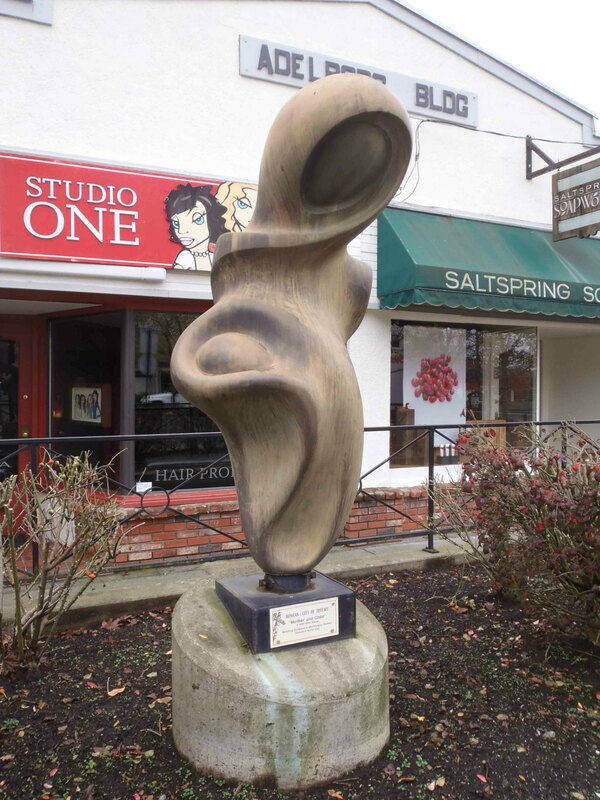 Although Mother and Child is not a totem pole, it is still considered part of the City of Duncan collection. 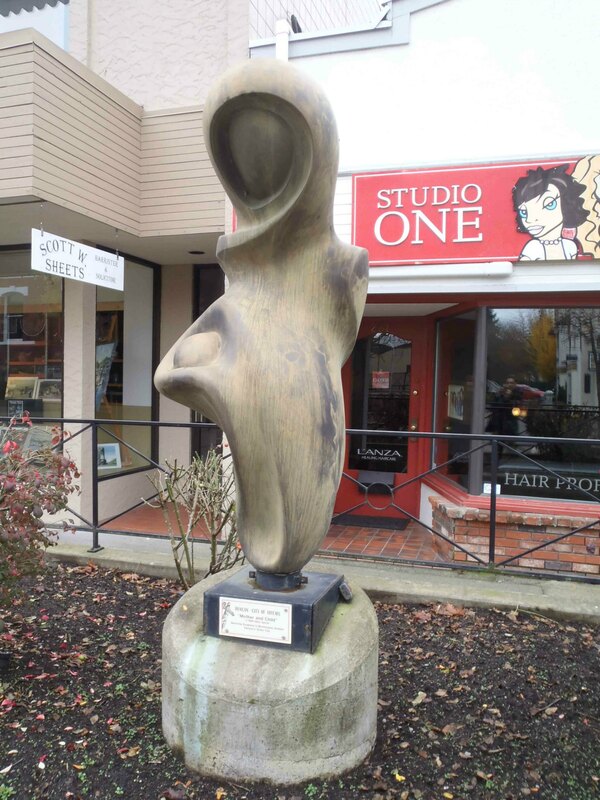 We have included Mother and Child on our Walking Tour of Downtown Duncan Totem Poles. 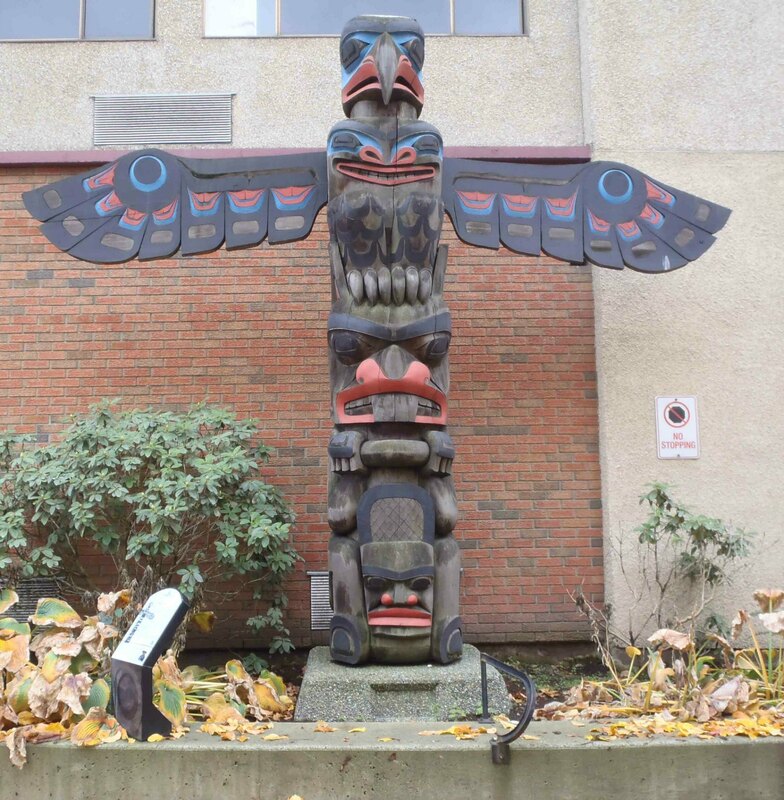 The next totem pole on our Walking Tour of Downtown Duncan Totem Poles is the Eagle Pole, which is located in Lois Lane, near Canada Avenue. Mother and Child faces Lois Lane, on the opposite side of City Square. Look east from Mother and Child for the lane between the City Square bandstand and the Belongings store at 55 Lois Lane. You’ll find the Eagle Pole in Lois Lane.